Quote of the Week: ego driven science | Watts Up With That? Anyone wondering why, in the face of contrary evidence, alarmists (such as Matthew English) have not admitted they were wrong (about ‘the pause’ or any other issue) might find the following quote from the Climategate archive interesting. Prioritising one’s ego above the posited pain and suffering on a global scale that climate change is supposed to bring – draw your own conclusions. 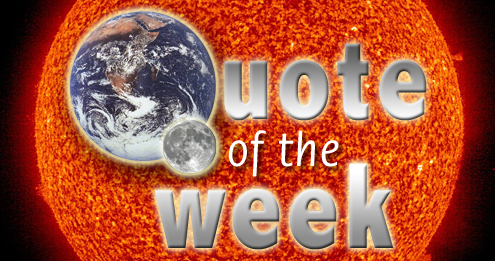 February 10, 2014 in Climategate, Quote of the Week. Whenever I read that quote I always wonder what “Political” means to the good Professor.. Self-interest is not the same as determining the right course of action for your people. Phil Jones has been worrying since at least 2005. For him it’s been about winning and not about being right. A far simpler word to accurately describe this charlatan is liar. By the way where did Phil Jones get the “15 years before we get worried’” from??? Dr. Phil Jones is a misunderstood climate scientist of the highest pedigree. He likes sharing his views on death and data. Yet after the leak of the CRU emails he wanted Princess Charlie boy to give him a loving kiss and cuddle while he threatened to top himself. What a piece of dog’s feces. CarolinaCowboy…..did you follow the link in the article that you posted? That “absorption” is model based. It must be difficult when you want that Government money but reality jumps up and bites you in the knees. I notice that after a lung transplant you have a 77% chance of being alive 12 months down the road, BUT, if the lung donor was a smoker you then have a 90% chance. Just like Dr Phil and his 15 year prediction, I bet they didn’t see that coming. I’m no expert, and others here have written extensively on “Trenberth’s missing heat”. I’ll just note that on clicking through to that article, I find it interesting how the authors present their data in terms of enormous numbers of Joules, or substantial fractions of a Watt per square meter. Why? How exactly are these measured? I hope someone will tell me these authors aren’t starting with measurements of temperatures, and changes of tiny, tiny fractions of degrees, then extrapolating these through vast volumes of water to explain a very large energy discrepancy. Or, put another way, accounting for their “missing heat” by stashing it where no one can disprove it. It’s been 15 years since 1998, the year of the great El Niño. We’re so used hearing “climate change” used to cover that “global warming” isn’t happening I’m not sure what he meant. I’d hope that someone in his position would realize the the climate has naturally changed ever since there’s been one so I’ll assume he meant he hoped to see “The Hockey Stick” appear. It didn’t. Has he ever said anything to indicate “the science” has been proven wrong? He seems to be implying that without what he wanted to see actually happening then “the science” would be proven wrong. Doom-saying religious cults never recant their beliefs, instead they slowly slide into laughing stock status while everyone pretends not to have ever believed the scare that they were selling. This is not science we are dealing with, it is religion, plain and simple. A warped hellfire and brimstone religion, for people who tell themselves they’re too smart to fall for a hellfire and brimstone religion. Ego orientation is self destructive. Regardless of the field. I think Dr. Jones was referring to half a climate period, or something of 30 years of length. So Phil Jones says he is selfish, cheered by the death of a climate scientist, worried about 15 years of a lack of warming, feels like ending his life and is NOT political. Dr. Phil Jones needs to go seek help for his mental state and leave the ‘science’ of global warming to serious chaps. People who are not emotionally disturbed like Phil. I can see that but what is your point? My point is that we were told 15 years or 17 years of statistically insignificant warming or cooler before the police started arresting these charlatans. Both have come and gone. A report published on Monday in the US journal Proceedings of the National Academy of Sciences said there’s a 75 per cent chance the El Nino weather pattern will occur in late 2014. The research by Josef Ludescher and Armin Bunde from Germany’s Justus-Liebig University used a 12-month model that successfully predicted the absence of El Nino in the past two years. The US Climate Prediction Centre said last week there is an increasing chance of an El Nino later this year. Andres Valencia see this too. These people were over confident until the surface standstill persisted. Then they started backing out. I do believe that Gavin did the same despite his earlier position. See the date. “OK, simply to clarify what I’ve heard from you. Jimbo, my point is that Dr. Jones recognized he would be proven wrong to forecast ongoing global warming if the hiatus went on for more that 15 years. He has been proven wrong as he was afraid in 2009. As you can clearly see Phil Jones and Gavin Schmidt said in their own words that they would be worried by 15 years of a surface temperature standstill. Yet today they seek to back out. Arrive at your own honest conclusions about the kind of people we are dealing with. You are confusing a period of climate with a Climate Normal period. The period of 30 years as a Climate Normal period was decided in 1958 as part of the International Geophysical Year (IGY). Its length was purely arbitrary and was chosen on the basis that it was then thought there was sufficient global data for the previous 30 years but not before that. Importantly, the Climate Normal (i.e. 30 years) is a period for which average data can be obtained for comparison to similar data. So, for example, GISS and HadCRUTn data sets each uses an average of a 30 year period to obtain temperature anomalies by subtracting the Climate Normal average temperature from each obtained temperature, but they each use a different 30 year period for the Climate Normal. The use of 30 years as Climate Normal is unfortunate. It is not a multiple of the solar cycle, the Hale Cycle, ENSO, etc.. But its choice was arbitrary and was made for an apparently good reason in 1958. Importantly, the length of Climate Normal does NOT define climate data. However, because a Climate Normal period is 30 years, it is often asserted that a period over which climate data must be obtained is 30 years. This assertion is completely wrong. Any period can be used to provide climate data provided it is specified. So, for example, global temperature is estimated for months, for years and for decades. The 1994 IPCC Report used 4 year periods to assess changes in hurricane frequencies. His study, funded by the National Science Foundation, was published in the prestigious Proceedings of the National Academy of Sciences journal. This is exactly my point, the hiatus proves the CAGW hypothesis (rock solid for the Goal Keepers) wrong. ANYONE who uses the term ‘climate change’ must be challenged as to their meaning of that phrase. As Charles W. Cooke points out in a National Review column, ‘climate change’ is not measurable, therefore not provable. How convenient. Progressive scientists are devoted to progressive science being proved right – in order to demolish political, economic, religious, and educational freedom in the name of sustainable development. Vaclav Klaus: “I have a problem with accepting the term “sustainable development”. It is not a neutral term. It is – in my understanding – an empty, undefined and undefinable, more or less leftist ideological concept. It can’t be a good basis for a serious discussion…To speak about sustainable development suggests a debate about creating barriers or obstacles to rapid, healthy and much needed economic growth. wonder who made this video? This was one of the first climategate emails I ever read. I was in state of rage for days. Here is a guy predicting that, if he’s right, billions of people will die, and hoping that it actually happens so he can be vindicated. The complete selfishness is jaw dropping. But the very next thing I did was to try and find out if Phil Jones and his ilk were buying up property in Siberia or Scandinavia, or northern Canada, or Alaska, to provide a safe haven for themselves and their children to ride out the coming disaster. To the best of my knowledge, not a single one of the “Team” has done any such thing. My conclusion being that not only are these people so incredibly selfish that the wish death and destruction upon humanity for their own personal vanity, but they don’t actually believe their own bull sh*t.
Fast forward to 2010 here is Phil Jones again trying to spin his way out of the heat. And they still admit that the global surface temperature standstill continues. Global warming continues and it’s much worse than we thought. Think about our grandchildren. Climate Normal period is what I meant to write; that Jones feared a hiatus longer than half a Climate Normal period, simply because the 30 years figure was somewhat fixed in the public’s mind and 15 years without any additional warming would weaken or even kill his beloved “established science”. As if such a thing exists. Mr. Obama’s declaration provoked head-shaking from Congressional climate deniers, and unleashed a stream of mockery on Twitter. “As soon as he mentioned ‘climate change’ it started snowing on Capitol Hill,” said a post from Patrick J. Michaels, a climate skeptic at the Cato Institute. Scientists refer to global warming because it is about, well, the globe. It is also about the long run. It is really not about what happened yesterday in Poughkeepsie. This winter is not over, but so far, the most interesting fact about the Arctic blasts in the East might actually be how short they have been compared with the past. No matter how cold it got in Wisconsin last week, the world really is warming up. May 2012: Climate Depot: NYT Reporter Justin Gillis Does it Again! Author of ‘Worst NYT Story on Climate Ever’ — gets even worse! Didn’t you know? Science has now proven that the only infinite and eternal entity in the universe is human ego. President Obama and French President Francois Hollande called for a binding global agreement to address carbon emissions Monday, and urged the rest of the world to get on board ahead of a 2015 climate conference in Paris. Barack Obama is president of the United States. François Hollande is president of the French Republic. (FINALE) The challenges of our time cannot be wished away. The opportunities of our interconnected world will not simply fall into our laps. The future we seek, as always, must be earned. For more than two centuries, our two peoples have stood together for our mutual freedom. Now we are meeting our responsibilities not just to each other — but to a world that is more secure because our enduring alliance is being made new again. He will hope the first full state visit afforded to a French president since 1996 will bolster his dismal poll ratings, says the BBC’s Christian Fraser. I’ve noticed that the CAGW crowd seems to revel in human suffering if they can spin it to support their point of view. Jail is where he should be. As the 17 year pause got near, the necessary length to be a problem was reset (moving the goal posts) to 30 years or something. No one really cares about the latest statement from “the Team” because “the 17-year Pause” was stated first and boldly. It is the icon of moment and is thus the reason for titles, such as for this post, to incorporate it. PS, today: I think Santer first stated the 17 years. One of the reasons why I am so upset with these climate liars is this. Way back they made me so frightened that I seriously considered my future and where I would live. I thought about selling my house in the future, move to another country to get to higher ground! I feel like a fool today and thank goodness I did not act. I urge every level headed person not to act. I was not level headed then but I am now. Phil, follow me into the light. Australia build several de-salination plants in preparation for permanent drought, then they got hit with Biblical floods. Australia has always been a land of extremes with several climate zones. Perhaps more interesting is the unprecedented snowfall in the Scottish Highlands. . . . which has barely been reported. The amount of snow it such that it may form a permanent snow cap this year, so while the rain drowns Southern England Scotland goes into glacier formation. The risk we are entering a new mini ice age contributed to our family decision to move to the Fraser Coast in Australia – 25 degrees south of the Equator, right on the Southern fringe of the tropics. 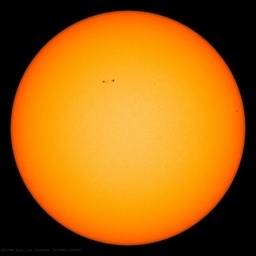 IMO alarmists are doing a huge disservice to the world, their sloppy science is causing a massive waste of resources, resources which might be sorely missed if the sun enters a deep quiet period. We’re so used hearing “climate change” used to cover that “global warming” isn’t happening I’m not sure what he meant. Actually I think we can be quite sure what he meant since the United Nations had defined the term. Zeke, thanks for bringing up Vaclav Klaus. I live at sea level, I have no fossil fuel interests (except I use them), I burn charcoal to cook my food, fuel oil from the power station provides my electricity, I get power outages during the week, sometimes no water (booster station no electricity), sometimes no fuel for my car for days and I could go on. What I want is for those concerned low carbon chaps to trade places with me. They will be low carbon and I can live. They keep working on this until they get it perfect. I would never want to live farther north than Texas – and even here, it’s been a damned cold winter! Probably another ice storm in the morning. Retributive justice, would in my twisted opinion, call for these persons to be stripped of all their wealth and then of their carbon. Sadly an example must be set. The crime of inciting a mob to violence is as old as humanity. Actions speak loudly, we have experienced an extended period of fear mongering, attempted scapegoating of any sceptical voices and a constant lecturing and hectoring from persons wearing their lust for power nakedly. It is human nature, the cycle moves on and some will get what they wished for others. I have often thought that regardless of your opinion of whether global warming (of the catastrophic kind) was occurring or not, you should at least have the common decency to hope that it was not, since this would be bad for humankind. This was evidently too much to expect of some scientists. Anyway, he then showed how the 1979-1997 trend line, projected out, was still lower than anywhere from 14 to 16 out of 16 years of actual observations. I pondered that for a while, then had the thought that this was only so because of the great El Nino of 1998. From 1995 through 1997, the global anomaly had risen as much in those two years as it had in the previous 17. That put the plateau of the pause much higher than the previous trend would have put it, and it was a simple exercise with Excel to demonstrate that. If the El Nino hadn’t occurred (and it certainly wasn’t predicted by any models), the opposite would have occurred, and most of the observed values would have been well below the trend line. This I put in my comment, which went into moderation hell and has not yet appeared, though many others have from later in the day than mine. But does my point make sense? It seems to me that only through the unpredicted sudden temperature rise of the El Nino does his article have any validity, though it seems as though he’s really saying “See, we were right all along even with the pause.” I’d appreciate any commentary on where I went wrong. Bill Gates owns the largest island in republic of Belize; The Grand Bugue Island. Also Water front home @ Lake Washington near Seattle. Warren Buffet: house in Laguna Beach’s fancy Emerald Bay community California, and a Omaha, Nebraska house. NYC Mayor Michael Bloomberg estate in Stokes Bay Bermuda. Some how I don’t see any of these people being really worried about GoreBull Warming. …..What I want is for those concerned low carbon chaps to trade places with me. They will be low carbon and I can live. Tell me about it we get snow once every five years and we are forecast for more snow from Tuesday night through Thursday. It is going to be nasty. Freezing rain, ice pellets and snow for three days YUCK. The last snow just finished melting here in mid NC. pat Feb 10 3:22pm says “The research by Josef Ludescher and Armin Bunde from Germany’s Justus-Liebig University used a 12-month model that successfully predicted the absence of El Nino in the past two years. “. If you forecast no El Nino every year, you will have about a 75% success rate. Eric Worrall – Thanks for your essay. I do agree with your “IMO alarmists are doing a huge disservice to the world, their sloppy science is causing a massive waste of resources, resources which might be sorely missed if the sun enters a deep quiet period.“, but I wonder whether you are being over-kind with “sloppy”. How could you even say that? I’m shocked, shocked, I tell you, that you could suggest such a thing! Hang your head in shame for your impure thoughts! Now I shall have to lie down with a damp cloth over my eyes to recover from this foul imputation of turpitude on the part of the honest climate scientists we so much admire. Eric Worrall – Thanks for your essay. I do agree with your “IMO alarmists are doing a huge disservice to the world…“, but I wonder whether you are being over-kind with “sloppy”. Its really difficult to tell :-). I tend towards Anthony Watts’ “noble cause corruption” theory – they are so sure they are right, and they bend the rules of science, because their cause is so important they must not allow skeptics to distract politicians and voters from their vital mission to save the world. The possibility that the objections of skeptics might represent fatal flaws in their theory rarely seems to occur to them, and when it does, is quickly dismissed. Even “hiding the decline” can be understood in this context – preventing skeptics from having a lever to sow doubt about “the science”, for the sake of the world, rather than a conscious attempt to commit outright fraud. Well, the missing heat for the last 15 years is approaching star Gliese 876…approximately 15 light years from earth… a solar system where a planet will be warmed by our arrogant and criminal industrialization. A planet doomed by our SUV’s and excessive use of petroleum. Fair warning!!! And in Australia stronger Pacific trade winds linked to stable air temperatures. “proved right”? it wasn’t settled back then? Phil Jones wanted “to see the climate change happen so the ‘science’ could be proved right”? Think about that for a moment. What kind of “science” is he talking about? 1. Do warm fluids sink or rise? (Hint: check out a Lava Lamp). 2. If warm water could somehow be forced down to these depths, how does it get there without being detected on the way down? 3. How long have we been taking temperature measurements below 2300 feet? 4. How reliable are temperature measurements taken below 2300 feet? 5. How many temperature measurements do we have from below 2300 feet? 6. Is there enough data from these depths to determine what the temperature is really doing? It is my sincere hope that Phil Jones and all of the AGW faithful keep experiencing colder and longer winters until they become complete pariahs, rejected by all of their families, friends, science associates, and acquaintances because they have been recognized as greedy, grant grasping, self-serving climate crooks. It’s time for their polar fleece to end! Hard to tell :-). I tend towards Anthony Watts’ “noble cause corruption” theory – they are so sure they are right, in their minds they have moved beyond simply proving their position to urging the world to take action, and don’t want any skeptics distracting the world from their vital mission. Even when they can’t help admitting at least to themselves that the evidence contradicts their theory, would it be right to undermine the most important mission ever, by allowing people to see their doubt? I would be interested in your answer/explanation. Deep ocean heating is the suicide note of climate alarmism. Because the deep oceans have the thermal capacity to absorb thousands of years of excess heat – so if alarmists are right, if heat can be readily transferred to the ocean depths, nothing we do to the atmosphere will matter for thousands of years. Kind of difficult to get excited about a problem which can’t happen until our current civilisations are dust, isn’t it? I’d appreciate any commentary on where I went wrong. I do not believe you were wrong. See the three trend lines shown below. Note the huge difference it makes where you end for the blue and green and when these are extended. Lake Washington is a fresh water lake about 16 feet above (Puget Sound) sea level. Bill’s house is in Medina. The Montecito house seems to have gone to wife Tipper as their split was announced just after the purchase. I think Oprah has a house nearby. Could have been changes in the last 2 years. You could use Carbon-Cate Blanchett in your list. I see the usual suspects have piled on, and not just because you used Bloomberg as an authority. But don’t let them confuse you. For a fairly large scale example see the images (2) of the flow from the Mediterranean Sea into the Atlantic Ocean on Chiefio’s site (posted Feb. 4; Which Way What Water Wanders?). One of the most shocking aspects of this global warming business is its eschatological foundation. They are genuinely upset that the world isnt heating catastrophically. You’d think that a pause would be good news, but instead, its a disaster? Pat was interested to read about the Scottish Highlands, our wonderful BBC has never stopped talking about the floods in the South, but they have never once mentioned this part of the UK. Likewise when the North East of England was hit by heavy snow and very cold temperatures in the last FOUR winters, it was barely mentioned. I think Phil Jones is 97% full of chocolate. Scientists have been trying to find out why the rate of global warming has eased in the past 20 years while greenhouse-gas emissions have surged to a record. Today’s paper elaborates on a theory that deep seas are absorbing more warmth by explaining how that heat could be getting there. …well, I’d say that the science is certainly not settled, if nothing else. Schoolchildren know that warm water rises, and cold water sinks….this results in the thermocline and seasonal mixing in our freshwater lakes. They are grasping for straws that don’t exist. Massive fail. A version of this review appears in print on February 16, 2014, on page BR1 of the Sunday Book Review. Tim Flannery, Senior Research Scientist at the Australian Museum in Sydney, is an outspoken advocate for informed and vigorous control of populations. His best selling book, The Future Eaters suggests that we’re eating ourselves out of house and home…an appetite that’s lasted for thousands of years. The first of Quantum’s tenth birthday profiles on leading scientists. Q: Why is it that you believe Australia, which has an area the same size as the United States, can’t support a similar sort of population – hundreds of millions ? Q: What do you think the ideal population of Australia should be ? Flannery: Well, my personal estimate is that’s probably going to lie somewhere between six and 12 million. But the great tragedy for the nation is that we don’t know the answer to that question. We’ve never asked it sensibly. I may be proven to be wrong, but I don’t think I’m going to be greatly wrong. The answer may be 20 million, but it’s certainly not going to be 200 million. Q: How would we control our population? But really, in the long term, it’s going to be immigration which will cause the big change. Q: Your strong stand on population has earned you the criticism of being a racist. How do you respond to that? didn’t mean to post the old Flannery interview, but it seems to fit well with the gloomy Al Gore/Kolbert stuff, so never mind. Hi Gail, couple of things and sort me out if I lose it (thanks) You mentioned the UN policies in 1992 (Frame Work Convention on CC 20 years ago) , I think it goes further back, to the early 50’s ( J Kozak : “and not a shot was fired”) and although that has, on the surface , nothing to do with CC it has everything to do with an overall system of Bureaucratic control..BTW, I loved your Real Estate assessment , Live in just the right place as far as I can tell and it ain’t Siberia, Northern Canada or Mongolia (although there is a great bit of fishing for a week or 3 in the Yukon), Hang in there in Texas it will soon be fine. As a weather observer and a (ex) farmer where I have lived for the last 43 years I see, noted and after talking with the neighbours nothing out of the ordinary, nothing! Admad ROTFLMAO it’s 1 am here I’ll be awake for hrs!! It is when Hansen, Jones, Mann and the rest of them became obsessed with an outcome, climate catastrophe, and lost their obsession with discovering the climate, that started us on this path. So we can go back to the 1988 Wirth(less) hearing in all of its stage managed deception as a decent starting point. From their climate science grew from a minor enterprise into the major industry it is today. And the spinoffs have been so lucrative for insiders: windmills, ethanol, carbon credits, carbon trading, solar panels, tax credits, feed in mandates, etc. etc. etc. Scientists stop becoming scientists when they commit themselves personally to their outcomes instead of reality. The work of the IPCC as configured is not science, it is anti-science. Thanks. Amazon page contains some reader comments giving context. But, I’d like to add, until 1961 the UN still planned on becoming the world government by means of force; the US/JFK backed plan was that only the UN would have nukes. This strategy collapsed with the UN-perpetrated massacre in Katanga. It took the UN a decade to roll out their new strategy, based on deception, 1971 at the Stockholm conference on the environment, using enviro issue as “common enemy” as documented by the Club Of Rome. This was one of the first climategate emails I ever read. I was in state of rage for days. I quickly realized that the Climategate Emails might have several from John Daly. He died in 2004 before I picked up this obsession and I’ve regretted not being around when he was. I quickly found Jones “cheering news” comment and was in a state of rage for days. Prioritising one’s ego above the posited pain and suffering on a global scale that climate change is supposed to bring and the pain and suffering that regulations supposedly aimed at stopping warming have already wreaked – draw your own conclusions. I just want them to come and stay for a month. I have more fence posts to set (If the weather ever clears) and sheep shearing is coming up soon. Not happening anytime soon, Gail. Maybe snow today (probably, I think, from the weight of the clouds and the fact that it is 30F outside). Definitely snow and freezing temperatures all day tomorrow, although they are still only calling for 1-3 inches accumulation (which rises every day as the event approaches), with freezing rain or sleet and more snow the next day. I’m guessing Wednesday and Thursday and possibly Friday are going to be (patented) North Carolina Snow Holidays(tm) with schools and businesses closed tomorrow, Universities closed Thursday (Duke never closes with less than apocalyptic weather as many faculty and all students live close enough to walk and it screws up everybody’s schedule and curriculum). The next time the weather spends any time any substantial amount above freezing and wet will be Friday, maybe. Which is all weather, and as noted doesn’t have anything substantive to do with the climate as a single anecdote on a large planet. However, “The Hiatus” (as it is called in AR5 where Box 9.2 explicitly acknowledges it as a serious problem and engages in some serious hermeneutics to try to explain it away and preserve the central message of threat) is not an anecdote. That’s why it gets its own box. People who are claiming that “the warming is continuing” — no, it’s not. It might start up again if ENSO ever heats up, but no, warming in the primary metric of global warming, the only metric we can really claim to know to some precision for decadal time scales with decreasing precision into the comparatively recent past as “defined” by the global average surface temperature anomaly (in any of its measured forms — GISS, HADCRUT4, RSS, UAH — is not continuing. The observation that given 36 distinct models in CMIP5, given tens to hundreds of runs per model, some models some of the time produce runs as long as 13, 15, 17 years with no warming is not quantitatively useful. Indeed it obscures the single metric that would be quantitatively useful. How many times (out of all N model runs completed to date) does this model produce runs not only of 17 years with no warming somewhere in its future output but in the 17 year stretch we are currently continuing? This question has 36 independent answers. And if the answer for any given model is “less than 5%” then that model should be rejected as having failed a simple hypothesis validation test. If there are too few perturbed parameter model runs for that model for the number to be known with any degree of assurance — less than 30, say — then the model should not be rejected (unless the actual real world data is much more than two standard deviations away) but neither should it be included with equal weight of models where their internal variability and statistics are well sampled and that survive the hypothesis test. Only the criterion for inclusion/survival of the CMIP5 models really needs to be much more stringent than 0.05, because there are so many of them, there are so many perturbed parameter runs per model to choose from, there is so much overlap of code and method parentage, and of course there is the fact that almost all of the models share the same bias compared to the climate that data dredging considerations come into play. So the observation that “some models produce some runs” as long as 17 years (out of how many “independent” trials — are we talking about somewhere across the entire 21st century, so that we have to dilute probabilities still further?) really does not help. If all the models put together produce runs as long as 17 years 2% of the time, that is useful information. It is information that any Bayesian statistician would use to conclude that the models are rather likely to be broken, that the model priors need badly to be turned into model posteriors on the basis of the data and modified to fit reality instead of asserting that it is reality that is unlikely and the models are right. As I pointed out on three different threads yesterday (and now one today) as well as another half dozen threads subsequent to the release of AR5, the statistical analysis of CMIP5 models as presented in the summary for policy makers stands out as a shameful blot on the integrity of science. Chapter 9 openly acknowledges that the statistical presentation they use is without merit or foundation — they list three (out of a rather long list) of the primary reasons why it is without foundation but only in one single paragraph where nobody who is not rather versed in statistics will either find it or understand it (where policy makers, we can assume, are neither one). They present figure 9.8a where one can see at a single glance that it is without merit, that indeed the “MultiModel Ensemble” (MME) mean that they present clearly and badly fails a Kolmogorov-Smirnov test for the equality of two distributions by spending only 1/6 of its time above and 5/6 of its time below HADCRUT4 over all 155 or so years of the record. It fails completely in its forecast post the reference period, and isn’t even symmetric compared HADCRUT4 in the reference period! If it weren’t for the 1997-1998 Super ENSO — which barely pushed HADCRUT4 back up to its MME mean prediction at its peak before falling back down and flattening up to the present — it would have quite literally never been correct outside of the training set used to “validate” the model parameterization. Its hindcast completely eliminates the natural variability of half of the twentieth century. None of which prevents them from making grandiose assertions in the AR5 SPM with high confidence, or medium confidence or whatever. Clearly the term “confidence” is being used in the sense of “high confidence” racket, because it is absolutely indefensible by use of statistics as their own chapter on the statistical analysis openly, if very, very quietly, acknowledges. No wonder they felt compelled to add Box 9.2. No wonder Phil Jones has prayed for the moral equivalent of a Super ENSO to come to the rescue. What if “The Hiatus” extends through 2014? Solar forcing (weak variation as it is) is peaking now and will only go downhill from here as we enter what can reasonably be expected to be a protracted solar minimum tailing out cycle 24 and into a cycle 25 projected to be even weaker than 24. If there is any merit at all to claims of causal links between solar state and climate, we are in a position to make accurate measurements for the first time in the satellite era that might actually confirm or falsify both claimed correlation and hypothetical causality. The ENSO-meter on this page is solidly in La Nina territory, and has been neutral to descending for some time. We could conceivably have a “Super La Nina” that might actually counteract global warming and reset equilibrium lower that the current neutral trend — something that I personally rather hope for because I do not relish the idea of a catastrophic climate shift whether or not it is caused by humans and whether or not it proves any number of scientists wrong. Box 9.2 is simply a mandatory CYA addition to an otherwise literally incredible chapter of AR5. And it is literally the only chapter that matters, except possibly for the sections associated with ocean acidification (which is really a completely independent issue from global warming or “climate change”). If the CMIP5 models can all or mostly be clearly rejected as failed models on the basis of simple statistical tests applied per model (and more sophisticated one that might be applied to reject entire model families) then we are literally back to the drawing board, forced to try try again to build models that actually work to hindcast the 20th century and forecast the 21st. That’s what science is all about, and I daresay that pretty much all of the modellers are working frenetically on doing just that because they are not idiots and they know a failed model when they see one, prayers for a career-salvaging non-anthropogenic assist from a Super-ENSO leading to disaster aside. But AR6 could well be the last IPCC activity before a very serious backlash if The Hiatus continues to (say) 2016 with no sign of abating, or worse, if a strong La Nina actually increases the interval with no statistically observable warming to 1990, the epoch year of the GCMs post their reference/training data, or earilier! I don’t think Box 9.2 will save them, at that point. Too many people like myself, like Roy Spencer, like Judith Curry are going to be there pointing out the discrepancy between section 9.2.2.2 and 9.2.2.3 — which basically say that the MME mean is statistically meaningless — figure 9.8a — which basically shows that meaningless or not it is wrong — and the assertions of confidence and disaster in the SPM. They at some point will be called on to justify the “confidence” they asserted while advising the world to spend hundreds of billions of dollars and millions of lives to avoid a disaster that they knew perfectly well could not be reliably predicted from their own data. On that day, what will they do? The axioms and theorems of statistics will be of no use to them because they have violated them! How, exactly, can they reply? Do you think that the “climate scientists” & bureaucrats most responsible for perpetuating this expensive & murderous, catastrophic, man-made scam should be tried for fraud, or would that have a chilling effect (so to speak) on the practice of real science? “I see the usual suspects have piled on… But don’t let them confuse you. At the polar end of the thermohaline circulation conveyor, relatively warm surface water expels heat to the atmosphere and sinks for two reasons: it gets denser as it cools, and as the top layer freezes, some of the salt is excluded from sea ice, which produces dense brine below. The cold water/brine mix sinks to form one end of the thermohaline circulation conveyor. At the other end of the conveyor, (equatorial latitudes) dense, cold water upwells, warms and expands. (I believe the upwelling is largely wind driven but I’m not sure about this). Warm water moves toward the poles and the cycle begins again. This appears to be a basic heat engine driven by warming near the equator and cooling near the poles. The heat gained near the equator is lost to space near the poles, and very little if any, is carried to depth. If I’m missing something, please feel free to educate me. It was a simple candid admission of a flaw that plagues most of us at least sometimes. I would be suspicious of anybody who denied ever being affected. If my research convinced me that the world was on the brink of catastrophe, my sentiment would be “I hope I’m wrong”. I would want other researchers to find an error in my work, I would do everything in my power to make it easy to follow my reasoning, and replicate my calculations, in the hope they would discover where I made a mistake. Because the alternative – the horrible possibility I was right – would mean that everyone and everything I loved was in danger of being ruined by whatever danger I foresaw. So Phil Jones is hoping for climate change. Sounds like he’s not too sure. Wonder why? Guess I was giving him “the benefit of the doubt” that he didn’t deserve. But I do find it interesting how soon “climate change” crept into the discussion. I can’t help but wonder if these “climate scientist” knew that the hockey stick’s warming wasn’t going to happen. But I’m just a layman. What do I know? He’d like to see climate change happen!!! so it hasn’t happened yet, I gather! For the most part, no. Specific cases where there was specific evidence that people had a vested interest and went beyond good faith science might, but that seriously is almost all the exception, not the rule. I think most climate scientists do, actually, drink their own grape-ade. They might be wrong, but they are wrong in good faith. If they are wrong. Their hypothesis is not disproven. It just isn’t particularly strongly supported by the evidence. The interesting question will be whether or not some future congressional investigation turns up any actual evidence of collusion or conspiracy to falsify any of the science. Most of what I’ve seen can be explained by simple grant-induced confirmation bias (similar to what has happened with the “dangers” of marijuana) without any real need for malice. I agree – there is no evidence in the Climategate archive that the scientists don’t believe the nonsense they are peddling, the evidence IMO is they are very poor scientists – third raters whose sloppy incompetence and groupthink hysteria should never have received global attention. It is not that they are unaware of evidence which contradicts their theories – it’s just they are so sure they are right, they discount its importance. And they actively employ dirty tricks to suppress skeptic views, because they genuinely believe that efforts to cast doubt on their theories endanger humanity. SOME of them employ dirty tricks. The others simply try to rewrite their perception of the past climate history of the planet to eliminate any doubt that the present is “the hottest ever”. Which is patently absurd. They somehow take temperature estimates with an uncertainty on the order of degrees kelvin and transform it into knowledge with a perceptual precision of tenths of a degree to make the claim, since there has only been order of 1 C total warming from the LIA — maybe. But either way, they seriously believe and think they are saving mankind. That is a ludicrous as thinking they ever believed it at all. People don’t ”sincerely believe” when they see their friends’ Hockey Stick revealed to be nothing more than flim flam knowing they themselves based their own papers on such drivel. A tree coring increment borer. Link on the Google return shortened so it’s not a mile long.